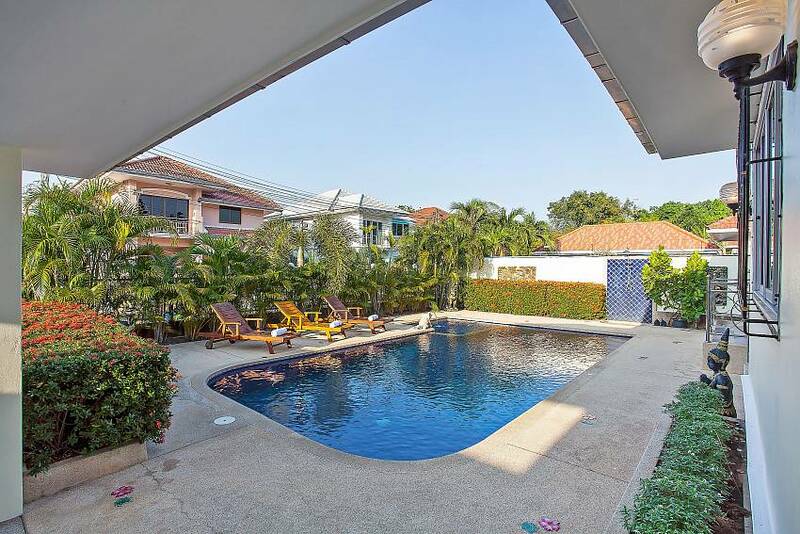 This ultra-modern villa sits in a desirable position on a popular residential village that is just over 1km to Jomtien Beach and a similar distance to lots of restaurants and some nightlife options. 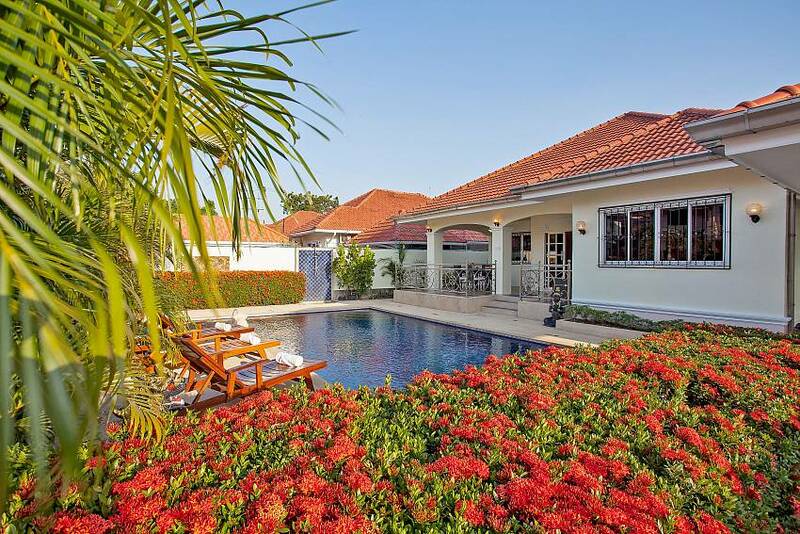 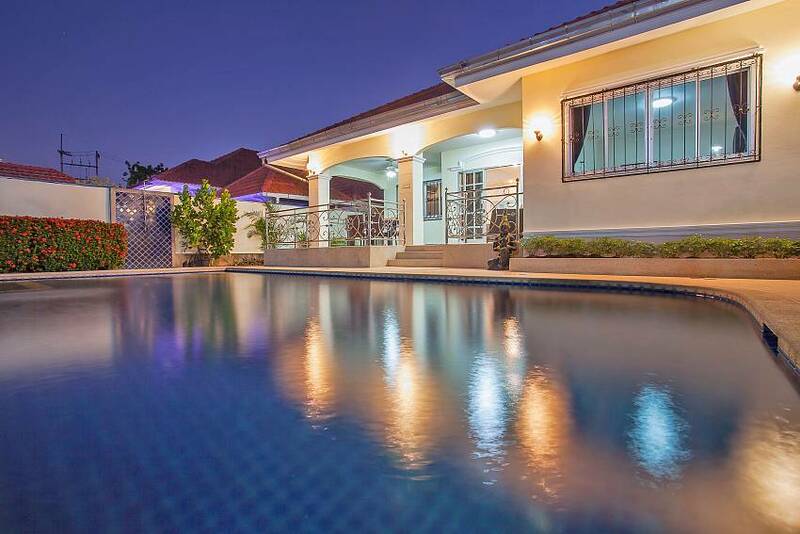 Basking in its own private grounds surrounded by a perimeter that aids seclusion, this modern tropical 3-bedroom villa sleeps up to 6 people and is ideal for a large family with kids, a group of friends or even a couple looking for a romantic getaway. 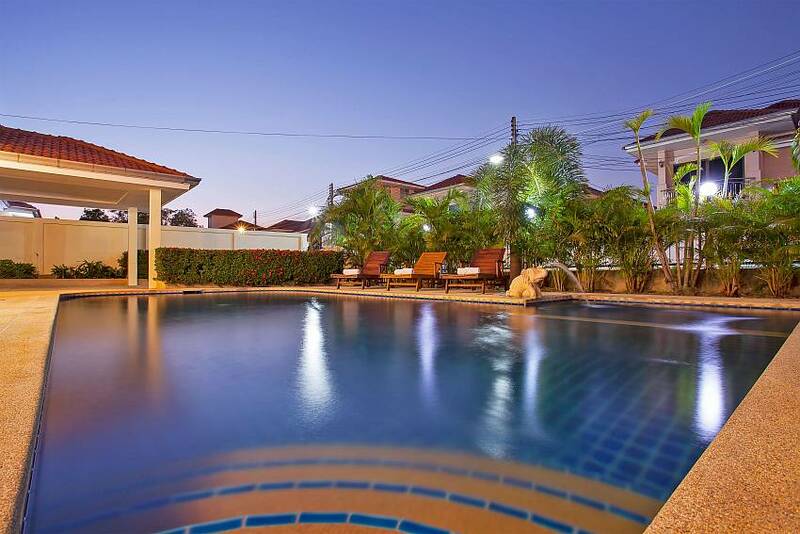 The garden area is dominated by a private swimming pool that has a surrounding terrace and a selection of sun loungers. 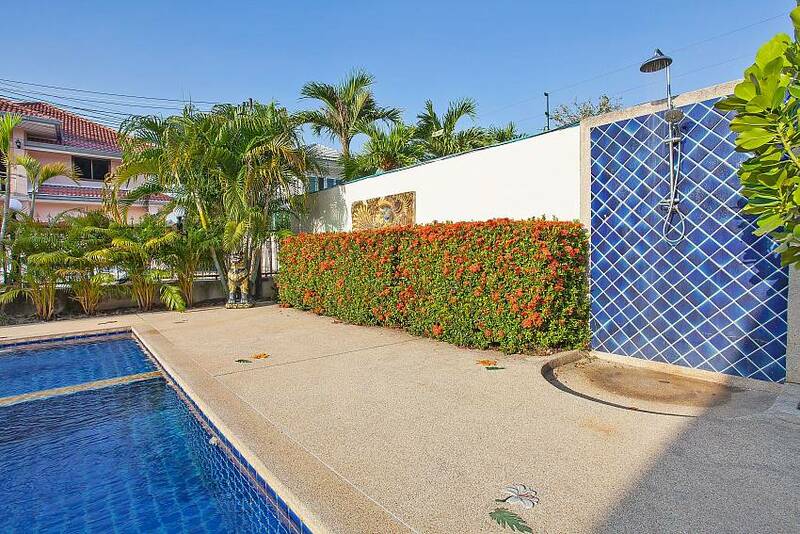 Overlooking the pool is a raised terrace area with seating that leads your way into the house and offers a cool place for a spot of al fresco dining. 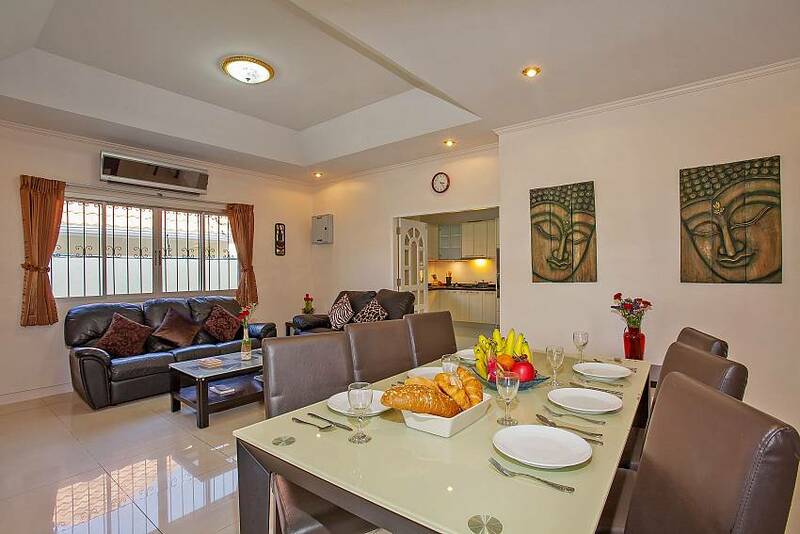 The main living area is large, spacious and very clean. 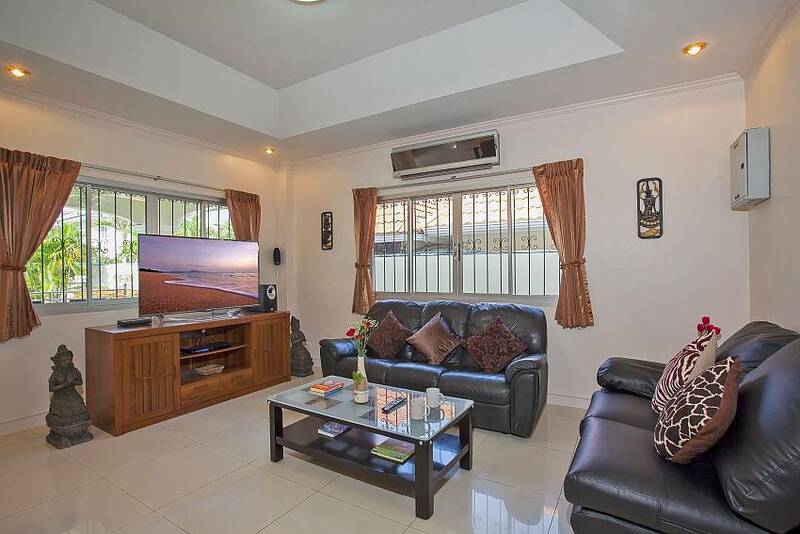 This open-plan space is home to a lounge with a comfortable sofa, a flat-screen TV with international channels, DVD-player and speakers and a coffee table, flanked by a dining space with a 6-seat dining table. 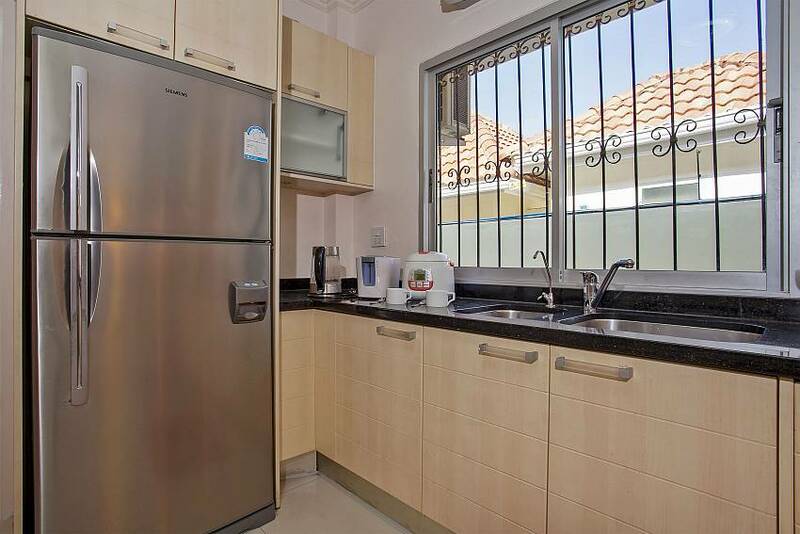 Just off the living space, you will encounter a spacious kitchen that is built to high Western standards and has lots of appliances that includes an oven, hobs, a microwave, fridge, lots of dishware and cutlery – and, for your ultimate comfort – a dishwasher. 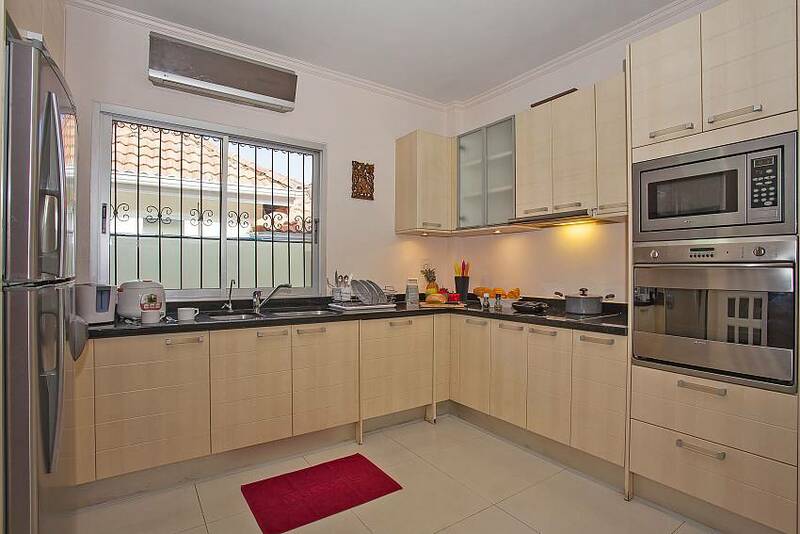 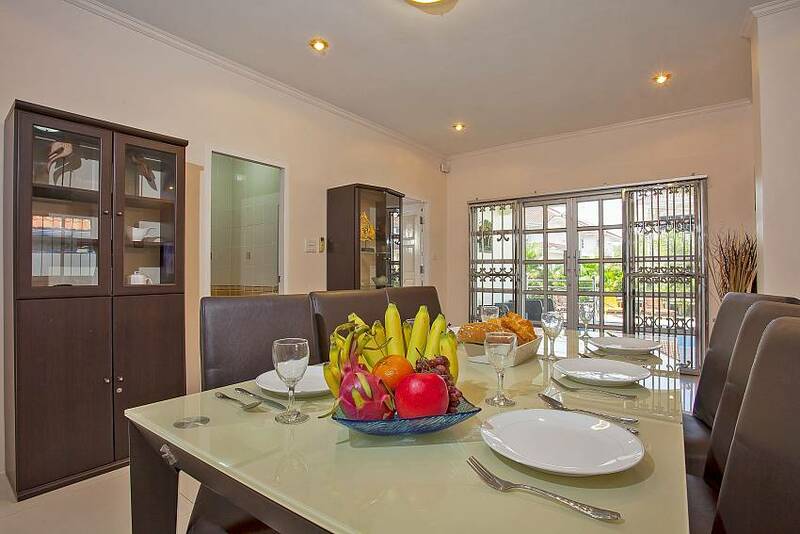 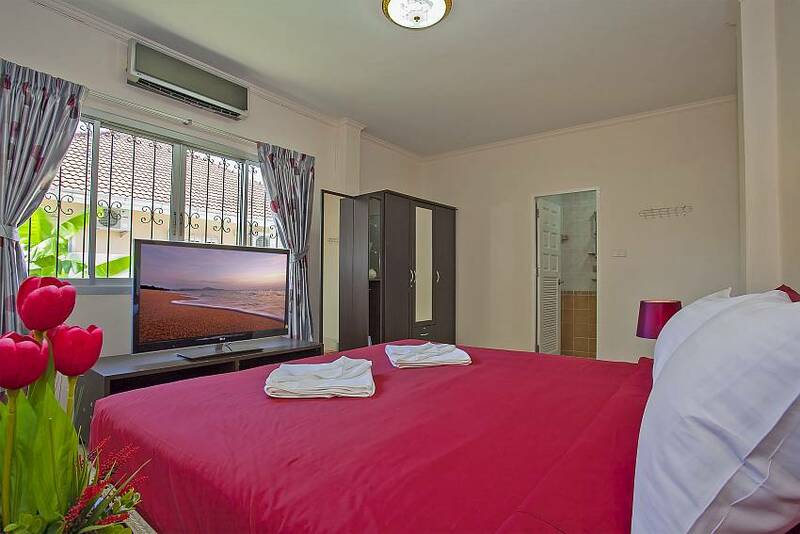 The 3-bedrooms all have double beds, televisions air-conditioning, wardrobes and access to ensuite bathrooms. 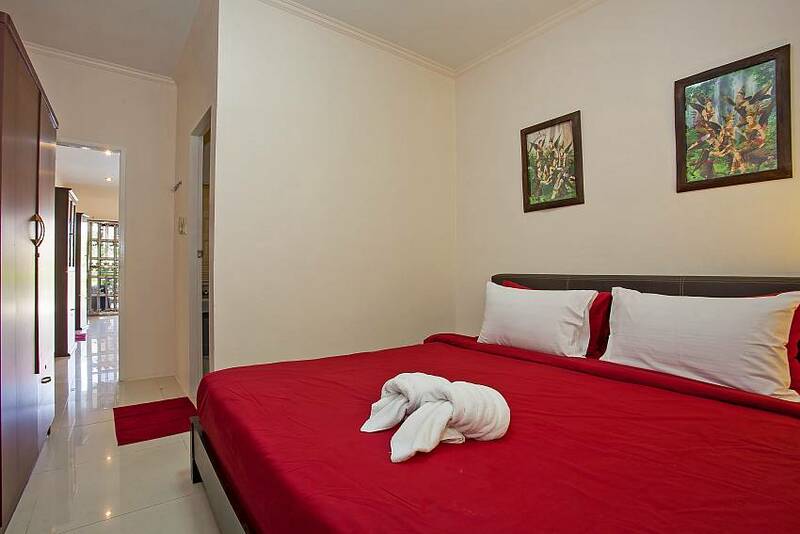 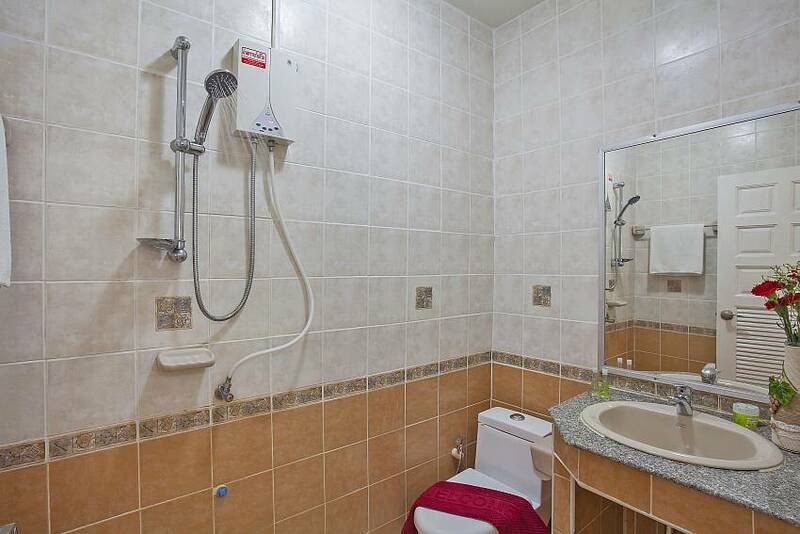 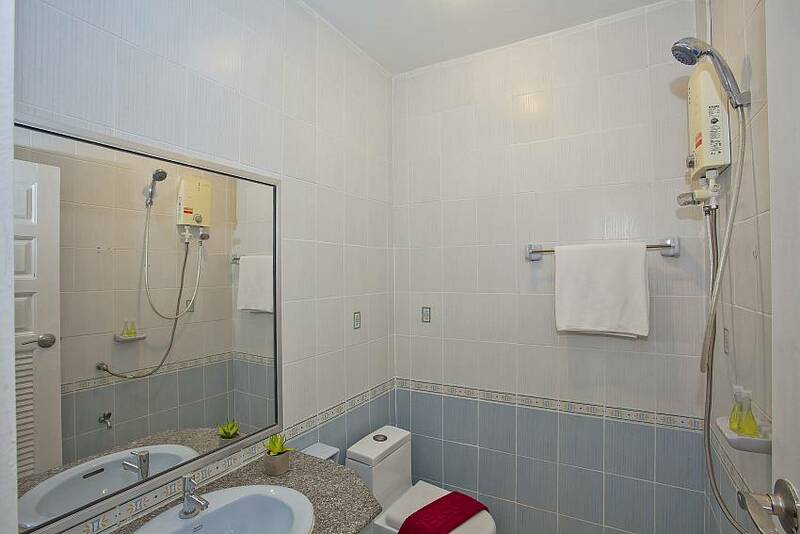 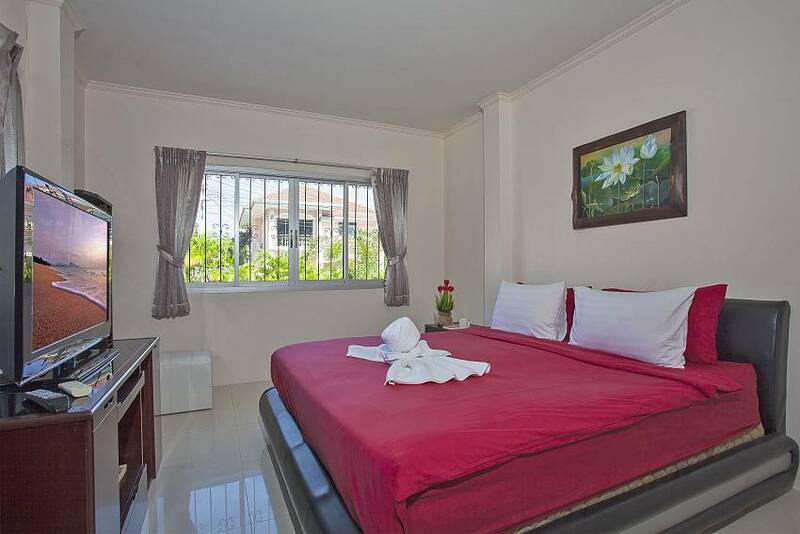 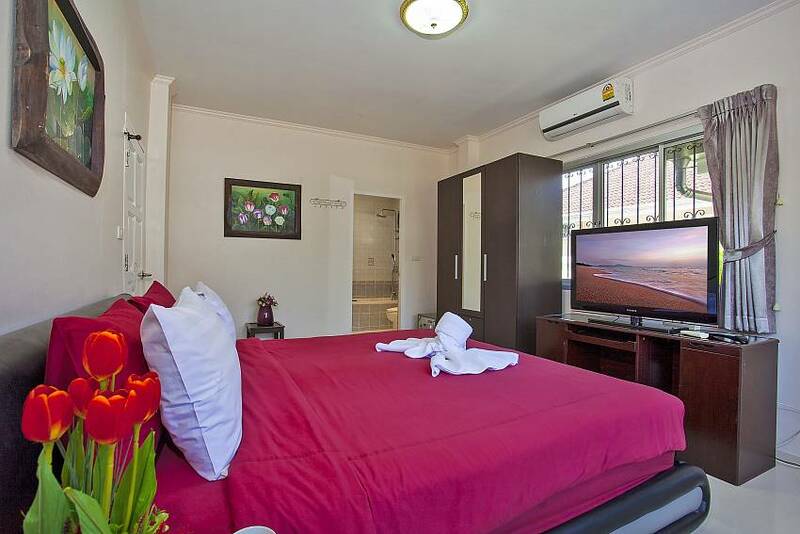 The bedrooms are modern and have very bright interiors that are homely and welcoming. 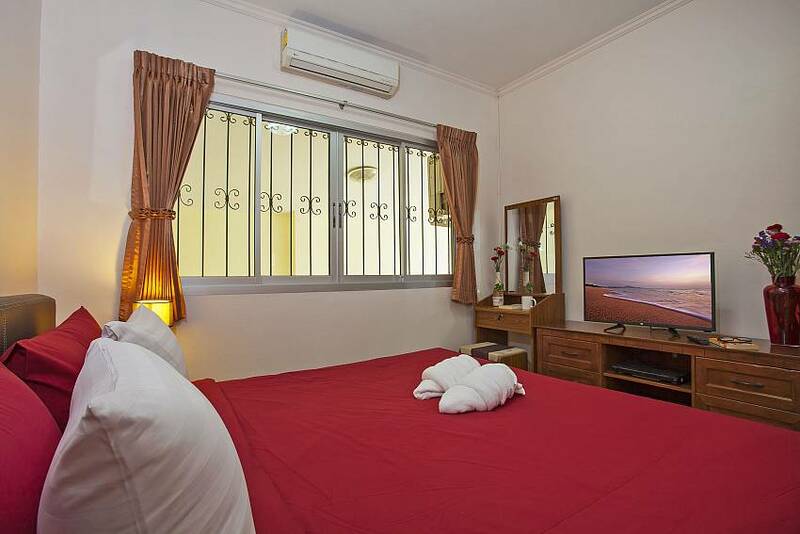 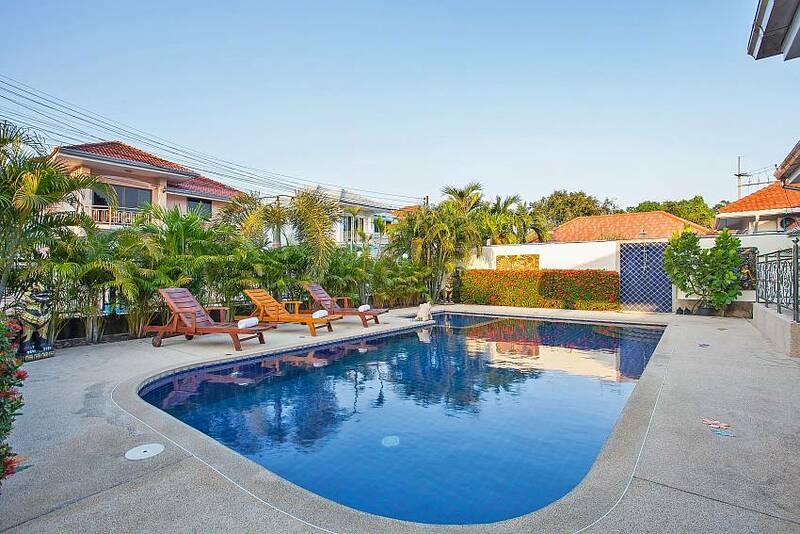 Just over 1km from Jomtien Beach, which is about a 10-minute stroll, this holyday home is located in the ideal position for a relaxing holiday experience. 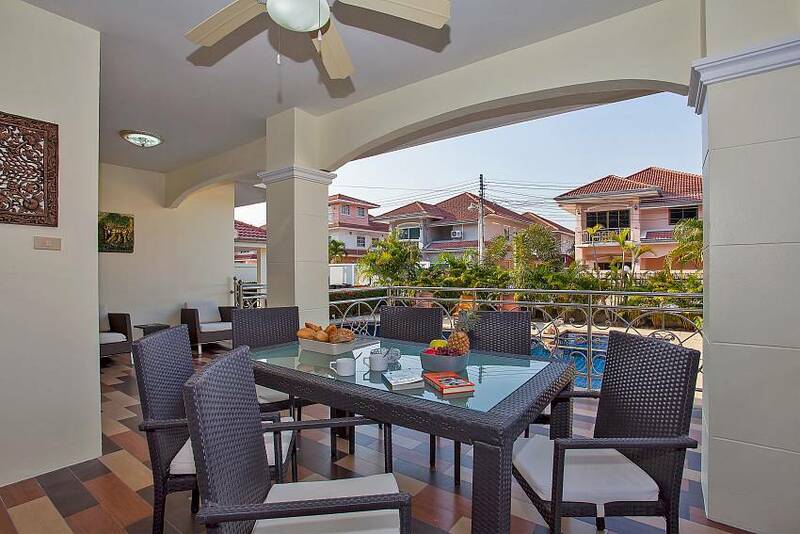 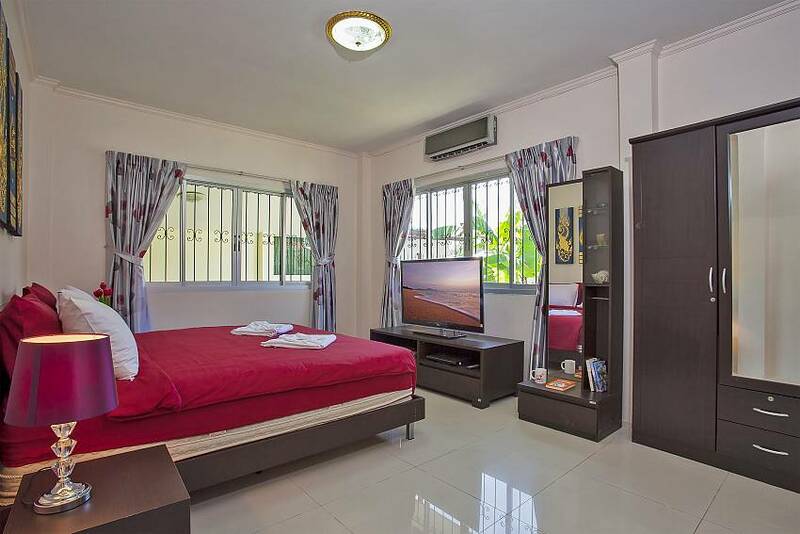 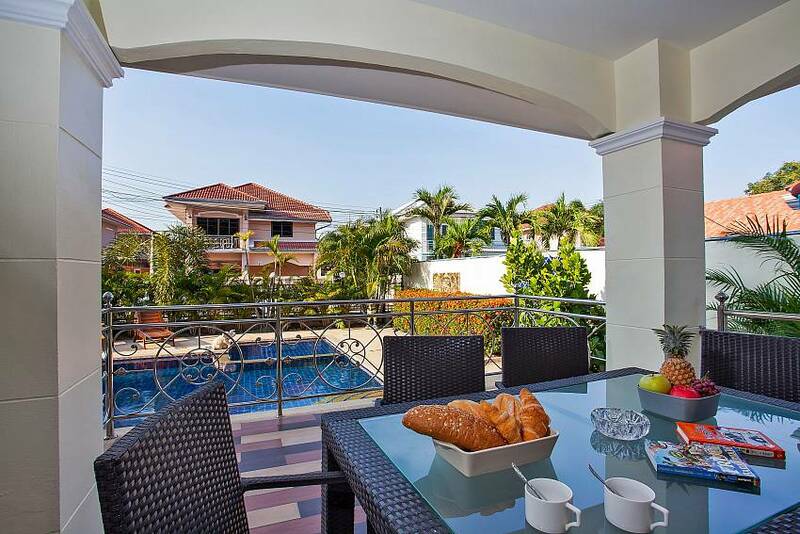 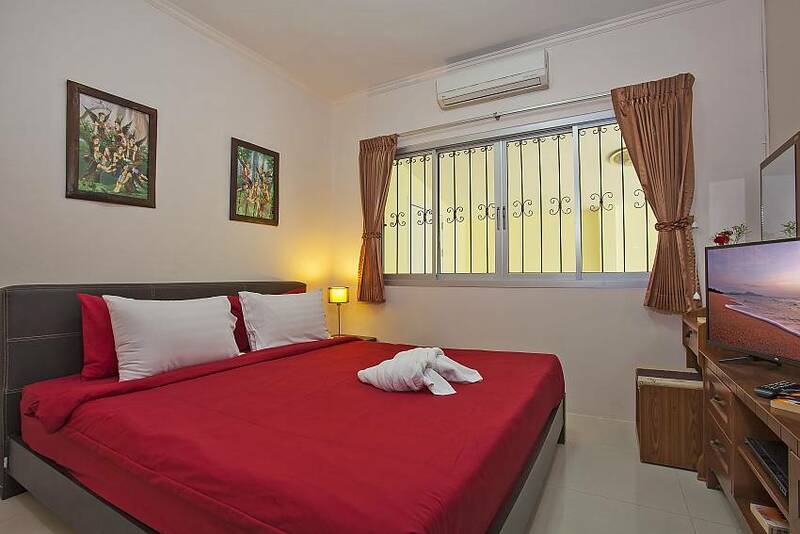 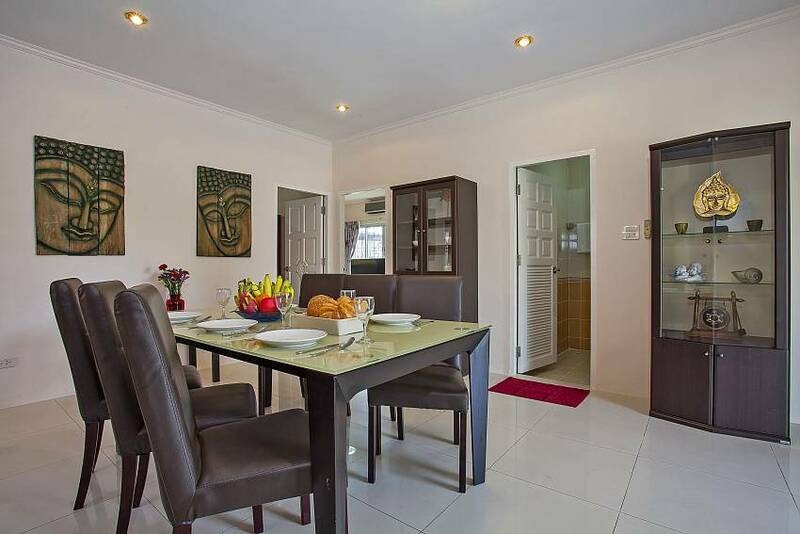 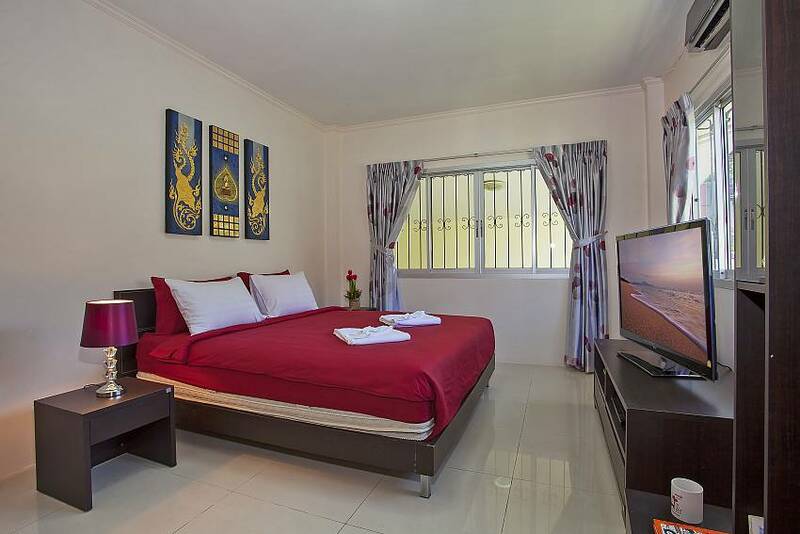 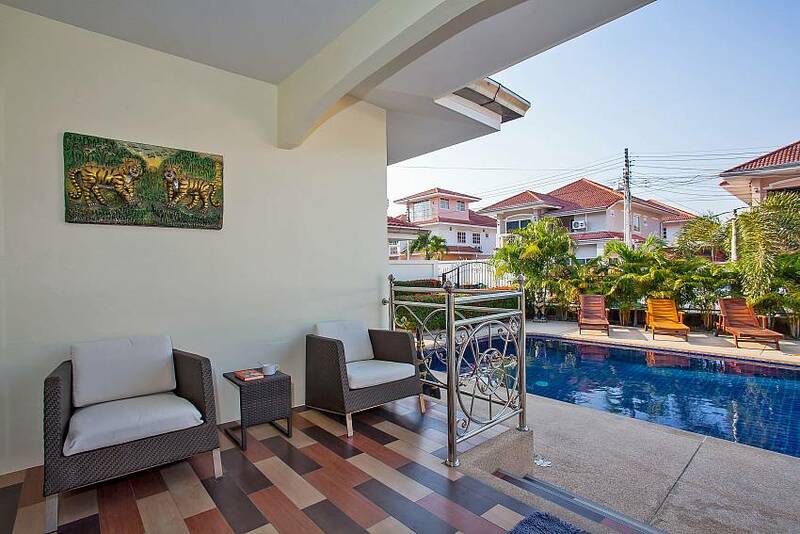 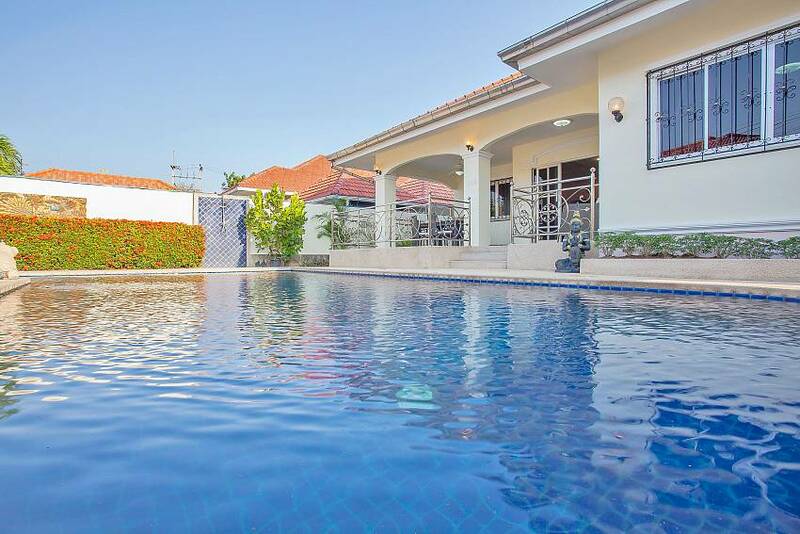 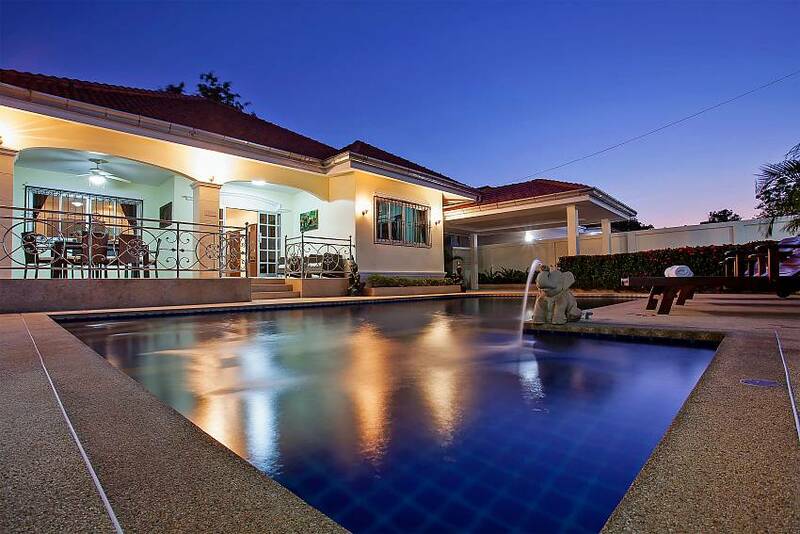 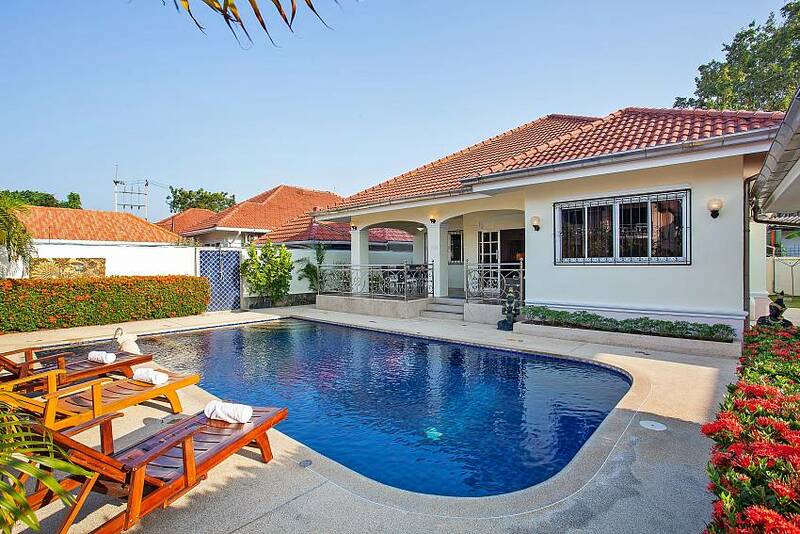 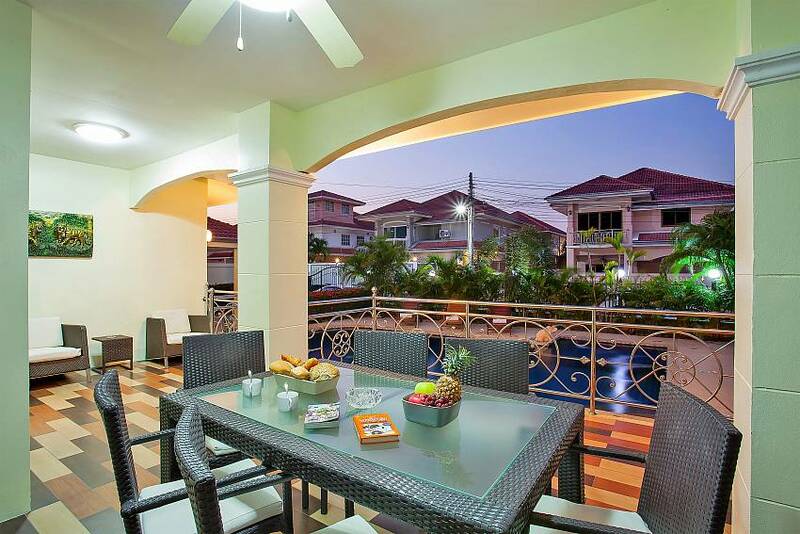 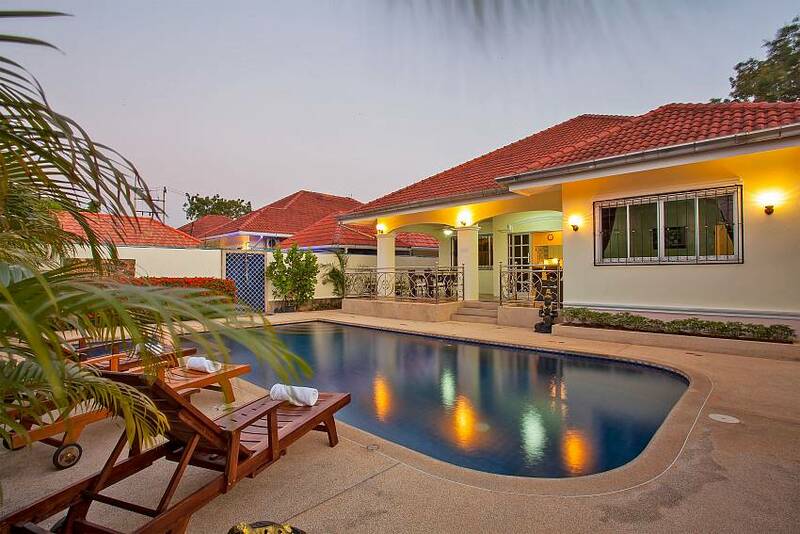 Basking in the privacy of a gated residential estate, the villa is just a 1-minute drive from Sukhumvit Road and attractions such as Pattaya Floating Market and Underwater World Pattaya. 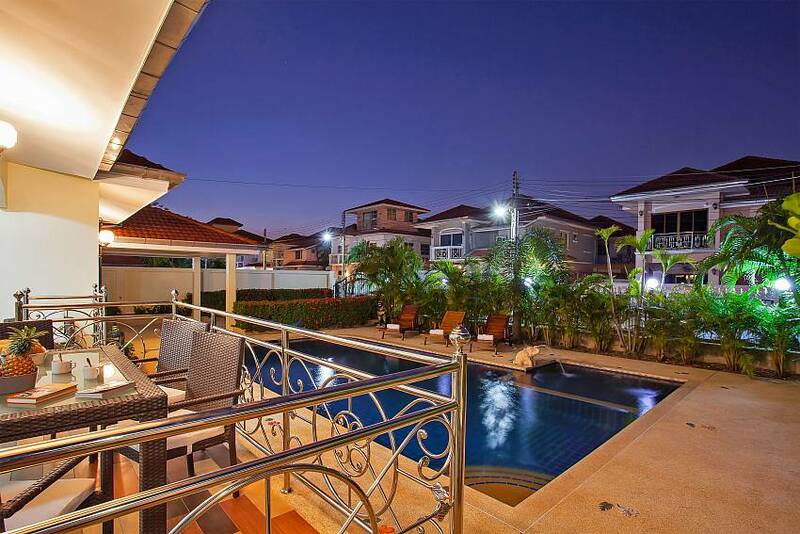 Lots of bars, restaurants and other nightlife options are just a 2-minute drive away. 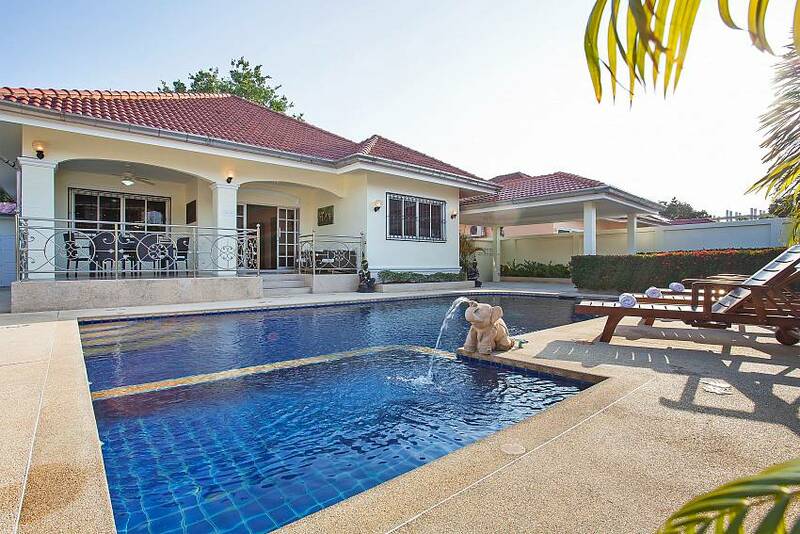 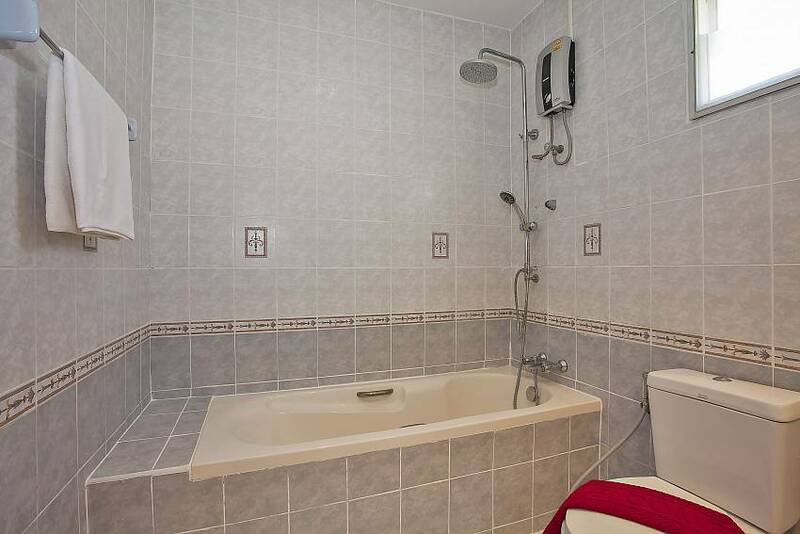 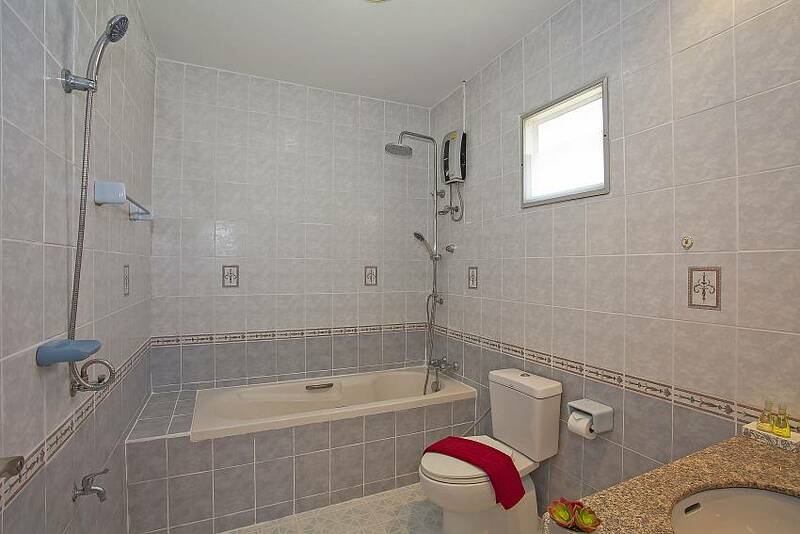 This is the ideal location for those who want peace and privacy within a short distance to all the action. 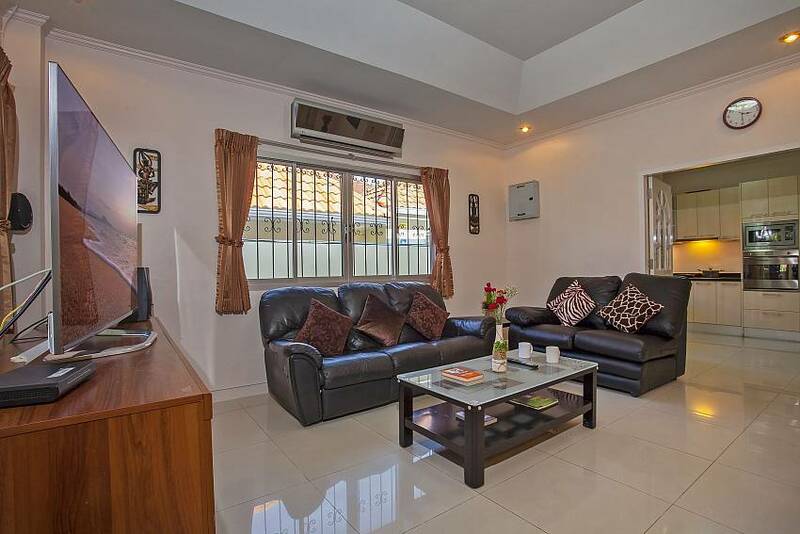 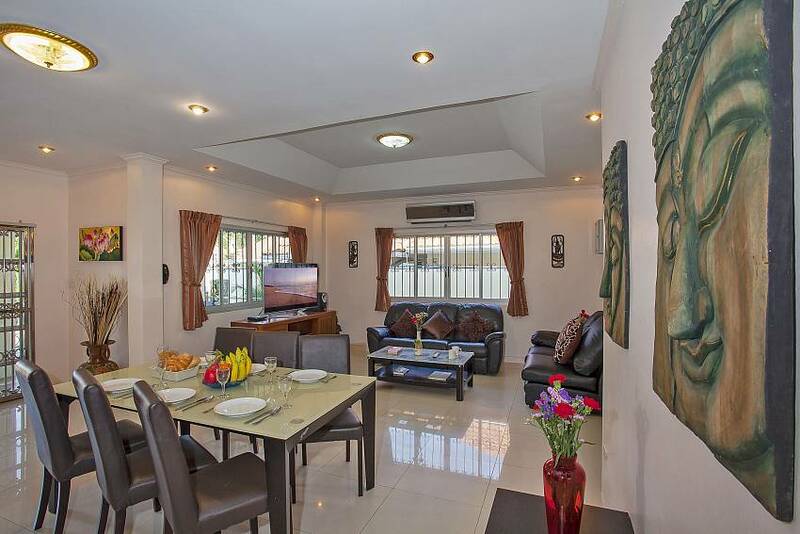 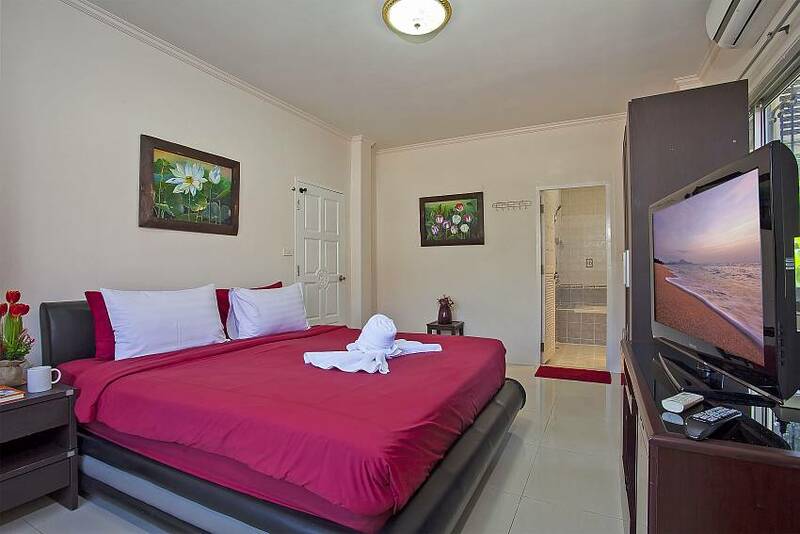 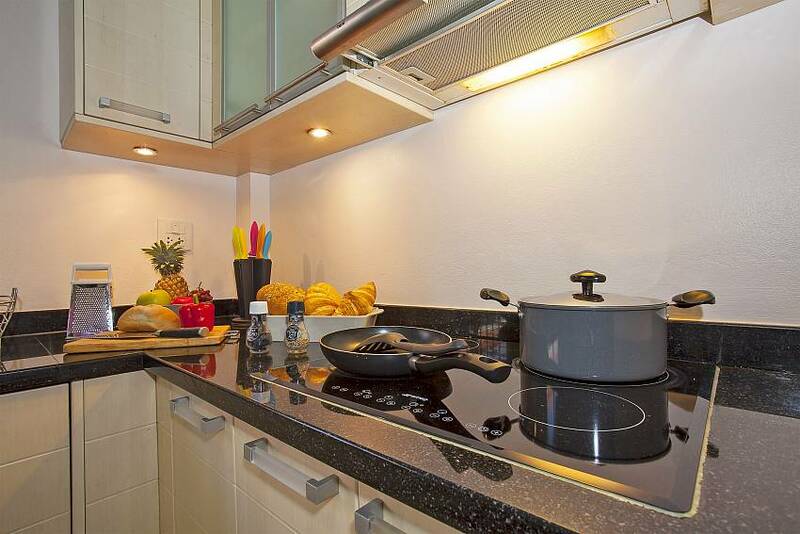 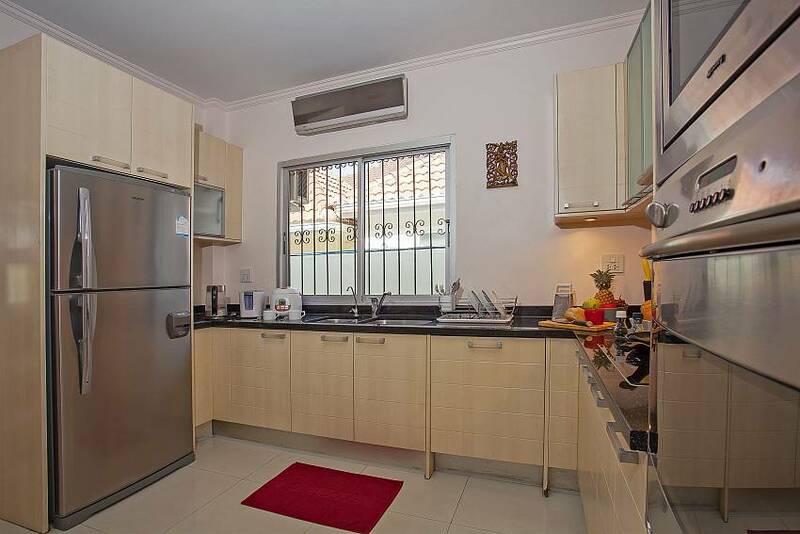 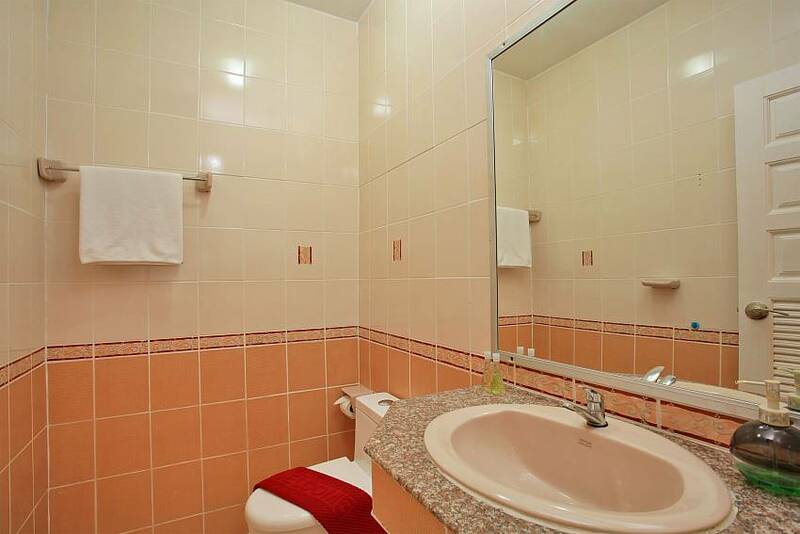 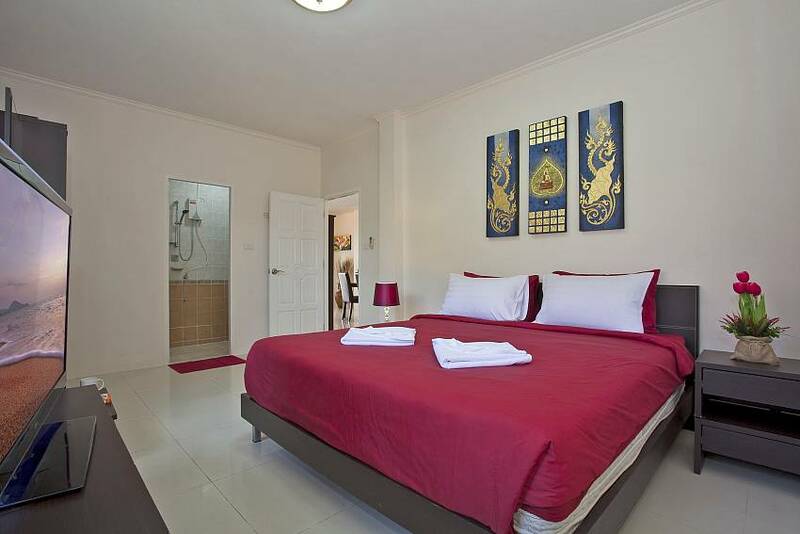 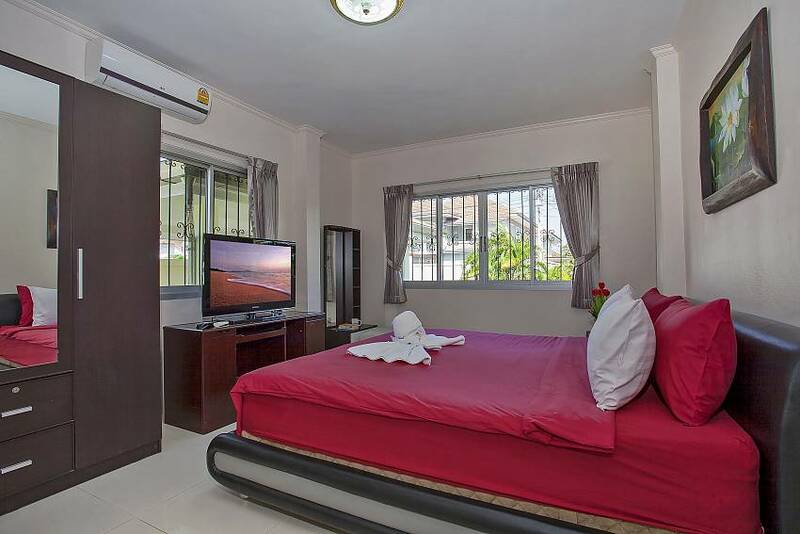 Here you can check out more of our exclusive Pattaya holiday rentals.